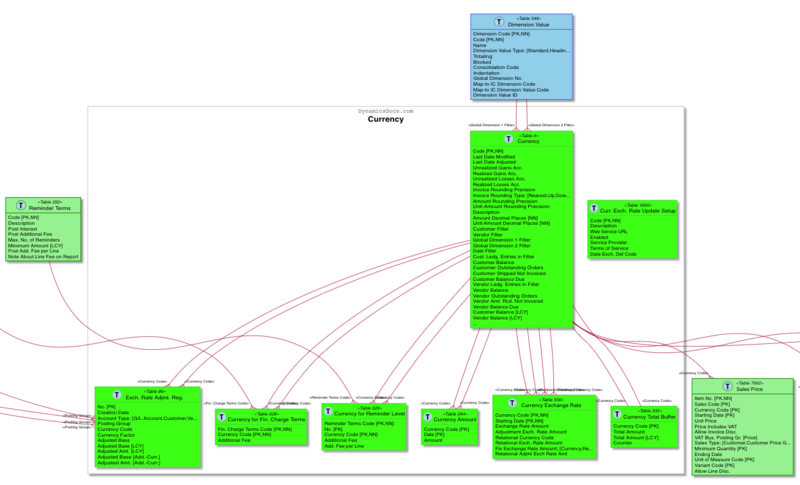 I've researched eBook platforms to use them for publishing the NAV data model. They have too many limitations. I ended up with a regular web site where everything can be updated for each new version and cumulative update (CU). You can start with an overview diagram like the one for the Currency related tables above. Then click on a table that interests you. Some of the diagrams for tables still have too many tables but the current version uses an algorithm to decide which tables to include/exclude from these diagrams. I'm trying to avoid manually specifying which tables to show as this would limit the speed with which additional versions can be published. I plan to publish more W1 versions next and then continue with country specific versions.